In certain respects, development of the view that embodied experience is crucial to understanding the mind and brain reached a nadir in the period after World War II, at least within psychology. Behaviorism had redefined psychology as an “objective” science with no need to refer to consciousness or phenomenology. There was continuation of phenomenological research from the German gestalt psychologists, but it was not until after World War II that clinically-oriented humanistic psychology explicitly articulated the need for more holistic, “person-centric” perspectives emphasizing existential concerns: the search for meaning, the experience of health and illness, emotions, and consciousness. While many philosophers in Europe continued to develop phenomenology, Contintental philosophy was increasingly concerned with logical positivism, which emphasized that many traditional problems could be solved through formal logic, and those not approachable in this way were suspect. Formal logic reached a apotheosis of sorts with the advent of computers, a class of systems having internal memory storage and symbolic-logical operations, and with them came a number of seminal figures that transformed models of mind and brain. In particular, Norbert Weiner‘s (1894-1964) meta-discipline of cybernetics, Claude Shannon‘s (1916-2001) information theory, Alan Turing‘s (1912-1954) and John von Neumann‘s (1903-1957) canonical work on computation, Jean Piaget‘s (1896-1980) theories of the sequential process by which infants and small children learn language and perception in stages, all resulted in an explosion of new perspectives on cognition, language, memory, perception, problem-solving. By the late 1950’s the overlapping field(s) of artificial intelligence (AI) and cognitive science got the attention of researchers in psychology, linguistics, philosophy of mind, neuroscience, anthropology, therapy, and organizational management. Herbert Simon (1916-2001) modeled human problem solving in the face of uncertain information, and co-developed what became known as general systems theory, and along with Allen Newell (1927-1992) developed automated theorem-provers and chess-playing programs. Noam Chomsky‘s investigation of the symbolic logical rules underlying grammar and syntax generated an attack on environment-produced behaviorist theories of language, the flaws of which dramatically came to a head in the North Texas Symposium on Language in 1959. While the door to explaining psychological phenomena in terms of mental categories and concepts had been re-opened, these new models generally formulated explanations in terms of impersonal information-processing and rule-based symbolic-logical theories of non-conscious aspects of the mind. These new “cognitivists” had absorbed certain scruples from the behaviorists, and typically disdained concepts such as “consciousness” in their models of the mental processes. Cognitivism remained “system-centric”, not person or body-centered, and focused on reducing mental activity to computational,information-processing and representational processes. There was a general lack of interest in using various first-person, introspection-based methods such as those of William James, or Edmund Husserl, though cognitivism and behaviorism alike asked subjects for verbal reports within experiments. Taking the long view of the development of a science of the mind, the praxis-driven demands of the clinic balanced somewhat the behaviorist and cognitivist disavowal of consciousness as a research topic. Focusing on the struggle of a brain-injured patient to live meaningfully meant that at least a small part of the ever-more fragmented field of psychology overtly or implicitly emphasized embodied and conscious aspects of cognition. It should be emphasized that a division of labor was in effect. Clinicians deal with people, while cognitive scientists deal with systems. As neurologists and psychologists published case studies, the more theoretically minded extrapolated from these reports to highlight an understanding of human mental functioning that did not exclude consciousness and the existential, personal, meaningful dimensions of experience that are grounded in the lived body. Across the ocean, in France, while structuralism began to dominate intellectual life after World War II, developments in phenomenological research continued apace. Most imprtantly was the philosopher Maurice Merleau-Ponty (1908-1961) analyzed and critqued the phenomenology of the philosopher/mathematician Edward Husserl. Foregoing Husserl’s hugely ambitious project of project of providing the most rigorous epistemological foundation possible for science and philosophy through investigations into experience, Merleau-Ponty attempted to reintegrate the penetrating Husserlian observation analysis of conscious phenomena into the structure of how consciousness is grounded and lived out bodily. Those psychiatrists and psychologists who attempted to apply the insights of Husserl, Martin Heidegger (1889-1976) and Merleau-Ponty especially developed what became known as phenomenological psychology. Heidegger gave lectures to physicians about ontology,while Ludwig Binswanger (1881-1966) and Medard Boss (1903-1990) attempted to apply his analysis of dasein (“being-there”) to clinical contexts. Phenomenological psychology showed a pronounced clinical influence from a key synthesizer of the neurological and phenomenological research traditions: the neuropsychiatrist Erwin Straus (1891-1975, who was possibly the first neurophenomenologist. Erwin Straus, MD: the first neurophenomenologist? “Julie’s self-being had become so fragmented that she could best be described as living a death-in-life existence in a state approaching chaotic nonentity. The European-flavored, humanistic field of phenomenological psychology (also called existential-phenomenological psychology) offers an alternative for researchers dissatisfied with mechanistic cognitivitism, behaviorism and physiological psychology. However, as far as I can tell, after the passing of Erwin Straus, phenomenological psychology has had little or no interest in cognitive neuroscience. 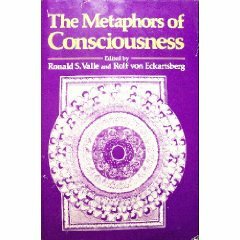 The major exception to this I can find was in 1981, when phenomenological/biophysiological psychologist Donald Moss and cognitive neuroscientist Karl Pribram each wrote fascinating essays on comparing brain science and phenomenology in the collection The Metaphors of Consciousness (Valle and von Eckartsberg, Eds). This is of historical interest as an early instance of an explicit dialoug between neuroscience and existential-phenomenology. “But there are limits to understanding achieved solely through the observation and experimental analysis of behavior. These limits are especially apparent when problems other than overt behavior are addressed, problems related to thought or to decisional processes, to appetive and other motivational mechanisms, to emotions and feelings, and even to images and perception”. Such exchanges occurred on the margins of mind-science. By the 1960’s, the largely cold-war funded research program of Artificial Intelligence (A.I) and growing interest in cognitive or information-processing approaches to problems in psychology etc. had produced a “cognitive revolution”. Some brave cognitivists even made use of introspective techniques (though not without drawing fire from behaviorists). Herbert Simon asked his subjects to verbally report on how they solved logic-puzzles, much to the chagrin of the remaining orthodox behaviorists. The renewal of mentalistic language and willingness to freely use data from introspection and verbal reports from subjects about how they solved logic problems was a robust challenge to the behaviorists, but over time a rapprochement ensued. But what really allowed the scientific study of consciousness and experience to re-emerge was the success of theoretical and laboratory neuroscience. EEG data had been produced for years with good temporal but limited spatial resolution, but in the 1970’s and 1980’s an alphabet soup of new imaging technologies (CAT, PET, MRI, and recently MEG) allowed neuroscientists to better “peek inside” the living brains of subjects in experiments. Progress in molecular biology, genomics, and biophysics in the postwar West allowed curious researchers to formulate models of emotions in chemical terms, such as the finding of endogenous opiates (or endorphins) and their receptors in the brain. The finding that nerve fibers connect with the organs of the immune system helped ground theories of the effect of emotions and beliefs on health, leading to the interdiscipline of psychoneuroimmunology. A growing industry to synthesize pharmaceutical products based on the molecular structure of receptor proteins has led to neuropharmacology and neuropsychopharmacology. Some brain researchers looking for theoretical models of the mind found the information-processing/computationalist approach of the cognitivists limiting in understanding emotions and experience. Cognitive science itself had been rocked from its early (late 1950’s-early 1960’s) success to the gradual realization that many aspects of mind are not easily characterized as formal-logical, rule-based systems, as had been predicted by the phenomenologically-informed philosopher Hubert Dreyfus (1972) in What Computers Can’t Do, where he argued that rule-based, symbolic-logical, representationalist models of mind and language fail to deal with the radically embodied nature of cognition. This was hotly rejected by prominent AI researchers, but later influenced Terry Winograd, among others. Mostly the insights of clinical neurologists and phenomenological psychologists were ignored in postwar cognitive science, which had a great overlap with computer science and Artificial Intelligence (A.I). Indeed, cognitivists and AI engineers might profess agnosticism about the neurobiology of the mind, viewing brain “hardware” as the domain of other specialists. In the late 1950’s and through the 1960’s, cognitive science and Artificial Intelligence seemed to have revolutionary new insights. AI as engineering of useful artifacts overlapped with AI as cognitive modeling. An early era of exciting optimism eventually gave way to slow progress on “general purpose” problem solving. The limitations of their symbolic-logical, information-processing, and computationalist approach led others to develop the hybrid field of cognitive neuroscience. Sometimes there were interesting discrepancies between the two: onetime “pure” cognitivist Stephen Kosslyn performed neuroimaging experiments on subjects who were asked to rotate mental objects. According to John McCrone’s report of Kosslyn’s work in Going Inside: A Tour ‘Round a Single Moment of Consciousness, the resulting pattern of distributed activity across disparate brain regions was difficult to reconcile with the neat schematic Kosslyn had developed as an abstract cognitive model possessing a few modules for accomplishing aspects of the rotation operation. This lends credence to those who propose that cognitive science must be much more thoroughly integrated with the “gory details” of neuroscience, with the neural networks/connectionist camp serving as a conceptual bridge fro brain to symbols and representations. Over time, the lack of interest in biology and “implementation agnosticism” of some computationalist cognitive scientists has given way to modern cognitive neuroscience. A movement in the 1980’s to reform cognitive science and artificial intelligence along biologically-inspired and “subsymbolic” lines known as connectionism, artificial neural-networks, and parallel-distributed processing splits cogntivism to this day. 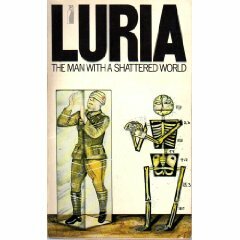 While a cognitivist might recognize a consonance with cybernetics here, abandoning representationalism is very difficult for some. What other bridging concepts are there to relate brain and mind events? This is still an open issue. As it turned out, a sophisticated alternative to cognitivism was on the way: Walter Freeman, Francisco Varela, and others have offered a post-representationalist approach to consciousness, cognition, and the brain based in dynamical systems theory. 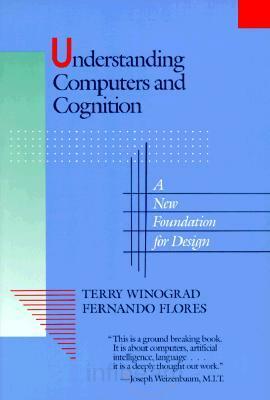 The undercurrents of dissatisfaction with understanding the mind as information-processing, rule-based symbolic logical procedures, and “computations over representations” emerged in the 1990’s as embodied cognitive science and neurophenomenology. “(a) Information about pressure, temperature, and friction from receptors on the skin and beneath the surface. (b) Information about the relative state of body signals from receptors in the joints, some sensitive to static position, some to dynamic information. (c) Information about balance and posture from the vestibular system in the inner ear and the head/trunk dispositional system and information from pressure on any parts of the body that might be in contact with gravity-resisting surfaces. (d) Information from skin stretch and bodily disposition and volume. (e) Information from receptors in the internal organs about nutritional and other states relevant to homeostasis and well-being. (f) Information about effort and muscular fatigue from muscles. These formulations follow the contemporary scientific trend of explaining systems, processes, entities, and relationships in terms of computation and information (and, often enough, representation). It is relatively rare in such contexts to encounter authors worrying overmuch about the meaning of the term “information” though there are attempts to effectively operationally define it via metrics, i.e. to quantify the information content of a system via Shannon-style or other measurements (Gardner, 1985). Perhaps “information” is indispensable as a term of convenience, but a critical reader should ask what the term means in context, when the term is used as a heuristic, what value the term adds, whether ambiguity is lessened or increased, and whether it would be better to emphasize the provisionality of information concepts. Probably it would be better to refer to “information” much of the time, but this becomes stylistically cumbersome very quickly. In any event, current theories of psychophysiological processing, clinical studies of symptom-perception accuracy, cognitive models using mechanisms explaining explicit, verbally-stateable knowledge, and other theories conceptualize our knowledge of our bodies in terms of information-processing, though the connection between “knowledge” and “information” is often not explicit. How are we to understand the meaning(s) of the term “information” used to explain how and how well people know their own mental and physiological states? What is the relationship of “information” in the sense of physiological or biological systems to consciously reportable sensation, such that a person is getting information about their body state? Are there many kinds of “information” involved in these models of internal state perception or “body cognition” found in clinical neurology, medicine, experimental psychology, and theoretical cognitive neuroscience? Or is there but one type of “information”, with different qualities or aspects that are described or measured in different ways? What metrics or formalisms are most appropriate for each type? Information-processing, computational, cognitivist, and representational formulations may privilege objective “system-centric” meaning of information, performing an implicit reduction of information in an experiential/phenomenological sense, without calling attention to the reduction. It may be useful, or even true, that quantities can be mapped on to qualities, following the accepted principle in philosophy of science that the ontology (known elements, entities, processes, features, properties and their relations) from one domain can be reduced to that of another domain, with properties from the one domain or level of scientific description to more fundamental explanatory ones in another domain (Churchland, 1989). In this view, the mechanistic and reductionistic work that the ontology of genes and DNA (and possibly information-processing theory) does in explaining cell biology will hold for the relationship between brain and cognition. Indeed, a standard view in psychology and neuroscience (and to an extent philosophy of mind) holds that concepts from cognitive neuroscience, computer science, and information-processing theory can mechanistically explain particular aspects of bodily awareness, and at some point law like or nomological generalizations will become apparent, effectively performing a reduction. I maintain that we should be careful in using an overdetermined term such as “information” to prematurely unite concepts from different domains. Traditionally, the philosophy of science has had a role in calling attention to instances where the use of concepts from one domain are used to explain another without careful explication of the move that is made (what one might call “stealing a base”), but unfortunately, the specialized nomenclature of philosophy leaves some scientists and clinicians alienated from such discourse. Stretch your imagination, take the long view, remember Thomas Kuhn: do you think people in 100 years will be explaining body-knowledge as an information-processing system?